Instead, Borrelle has developed a new set of four Ps, which he is currently evangelising globally within Pitney Bowes, to reflect the new technologically driven marketing function. And he believes these are relevant not only across his organisation, but across most businesses operating today. According to Borrelle, the four - people, precision, pace and profit - are more reflective of the massive transformation marketing has undergone over the last few years, and will continue to undergo. 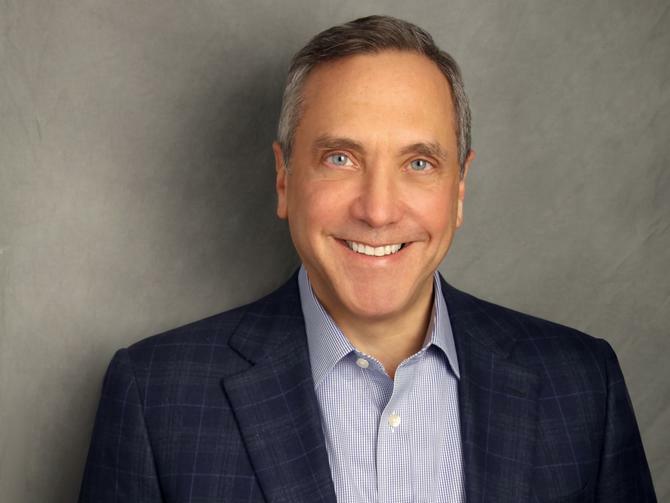 Having been in his position for more than five years, Borrelle has seen massive change at Pitney Bowes during that time. At a wider level, the global technology company, which celebrates 100 years of operation in 2020, has evolved from shipping and mailing services into a shipping, ecommerce, software and data communications solutions. Locally, it also partnered with logistics disruptor, Sendle, last year. More recently, Pitney Bowes has undergone a digital transformation, not only company-wide to make the business more digitally savvy, but also within the marketing function to transform client experience and measurability. Borrelle said he's been reframing his four Ps for employees to be more in line with modern marketing, so the business can move forward on its priorities for this year, including better attribution to demonstrate ROI, and more content development. “Under the new four Ps are 12 imperatives, and we’ll be tracking progress against these initiatives. These new Ps help make people aware of the value of marketing, the changes within the discipline," Borrelle tells CMO. "In particular, the ‘profit’ one is interesting as marketers, because it helps us realise you can make a direct connection to the bottom line of revenue and profit, versus guessing if some action is going to add value, like marketing days gone by." ‘Precision’, meanwhile, includes client data and IT. “Now, we have to have the best and most robust, up-to-date data we can have,” Borrelle explains. Under ‘People’ for Borrelle is client experience. “We undertake significant journey mapping to understanding the client experience, and this is a very collaborative process. Now, we must understand the client experience throughout the customer lifecycle,” he says. The fourth P, 'Pace', includes Pitney Bowes’ marketing technology stack, which includes a staggering 70 technologies, and commands a significant amount of the marketing budget. As well as technology from Adobe, this stack includes Salesforce Marketing Cloud. “Our technology is arranged in a foundational layer, such as systems of record, and the Adobe and Salesforce technology sits in there. These are our basic tools, and each has a purpose and an owner," Borrelle explains. "On top of this we have the systems of differentiation layer for competitive advantage, such as research technology which enables us to monitor our web activity anonymously. Then, we have innovative technologies, which we are always swapping in and out, for a leading edge. Supporting this has been heavy investment into training and development. In addition, Borrelle has been working to incorporate pipeline acceleration under his pace ambitions. “The idea of the B2B funnel is turning leads magically into sales as they progress down through the funnel. I’m recasting the funnel idea and turning it into an escalator, because we need to put power and energy into the journey from someone becoming a lead to a client," he says. Of course, ‘Profit’ speaks for itself. “We want to be able to prove marketing ROI, and bring new value. Currently we are looking at tech tools we don’t have yet to help attribution, with the view attribute a dollar to an outcome. That’s the next big step for us and what we’ll be concentrating on in 2019," Borrelle says. "Attribution is notoriously difficult, as you can have 10 touches before a lead becomes a client. So we want to continue to up our game, we want to be good at attribution, and contribute more to the bottom line." Other priorities for Pitney Bowes this year include developing a wide variety of content and making the Web experience for clients seamless. “We currently have 13,000 pieces of content and this is not sufficient globally, so we are developing this across A/NZ. We are also looking at a smooth, seamless and very personalised web experience, in concert with our other customer experience channels, and we are looking at a significant investment in tech for this,” Borrelle said.